One of the oldest junior colleges in Texas, the College was established in 1926 with a mission of providing the finest academic education for freshmen and sophomore students. 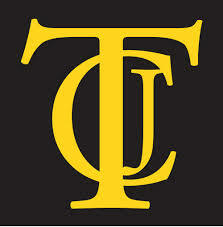 Tyler Junior College remains committed to that goal while also recognizing the changing role of community colleges and the need to provide quality training for technical fields. Tyler Junior College has been fulfilling three promises to its students and the Tyler area by providing a quality education, a vibrant student life and service to the community.Tyler Junior College is a public comprehensive community college with an outstanding record of academic quality offering 45 associate degree options and 35 certificate options. Along with its superb academic programs, Tyler Junior College boasts a 75-acre, tree lined campus, a vibrant student life, nationally ranked men's and women's intercollegiate athletic programs, and a broad array of student organizations. For the business community, TJC's Regional Training and Development Complex provides specialized training according to the needs of business, industry and governmental agencies.